The 11 November 2018 Stroud Short Stories event 'What Makes a Monster & Other Stories' has sold out in just 6 HOURS! — John Holland writes. The 11 November 2018 Stroud Short Stories event 'What Makes a Monster & Other Stories' has sold out in just 6 HOURS! 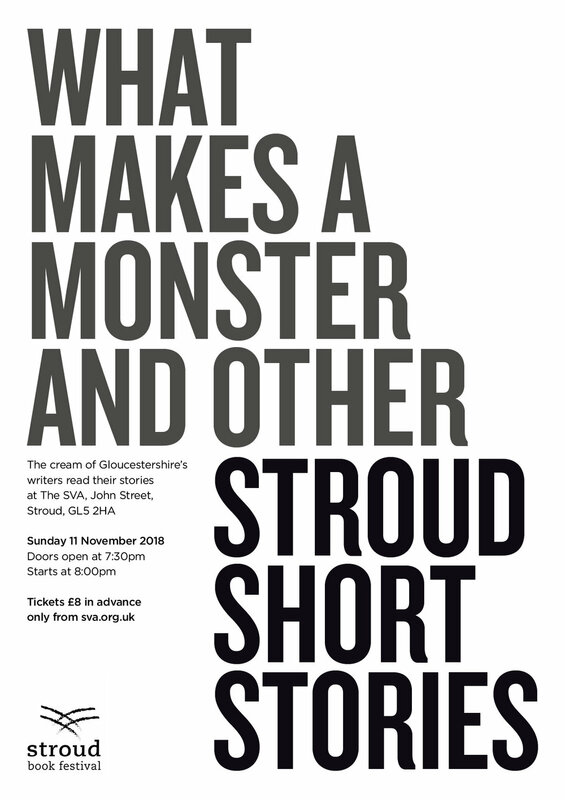 The Next Stroud Short Stories event ‘What makes a Monster & Other Stories’ to be held on Sunday 11 November at the SVA in Stroud will feature stories by Ali Bacon, Andrew Stevenson, Clive Singleton, Zara Wick, Amanda Staples, Ken Popple, Sophie Flynn, Stephen Connolly, Katie Witcombe and Sarah Hitchcock. 112 stories were submitted by 85 Gloucestershire authors. Many thanks to my co-judge Debbie Young. The event SOLD OUT IN 6 HOURS!